Use a julienne tool for cutting the zucchini into ling thin slices. Chop the fresh basil and in a bowl mix it with the crushed garlic, olive oil and lemon juice, add salt and pepper after taste. 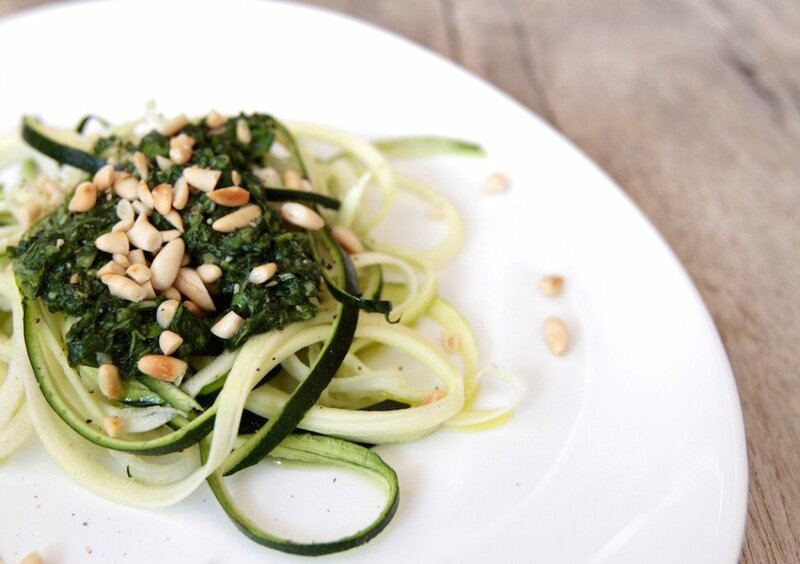 Place the topping on the zucchini pasta and sprinkle with the roasted pine nuts.